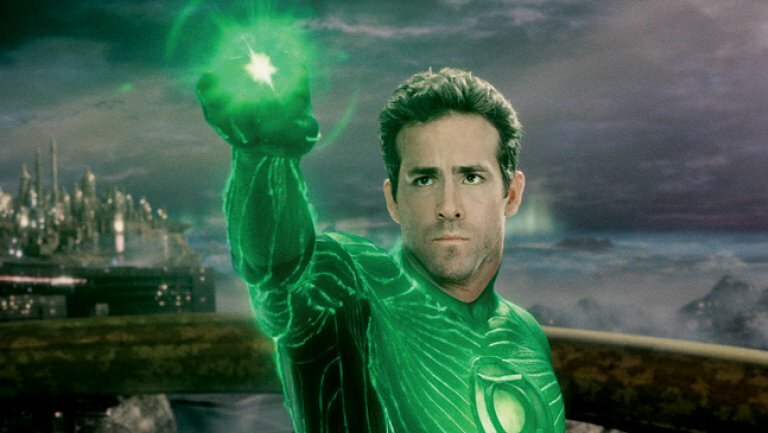 Given the recent success of the Ryan Reynolds-led Deadpool film, as well as the true kickoff of the DC cinematic universe with Batman v Superman: Dawn of Justice, I have decided that it is high time to take a look at one of the most loathed comic book movies of the modern era: Green Lantern. 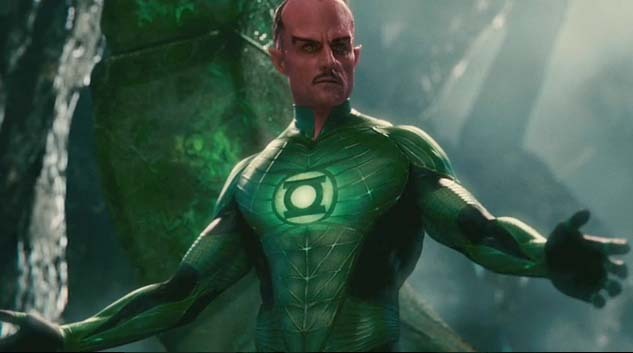 Green Lantern was directed by Martin Campbell, whose credits include both of the Antonio Banderas Zorro adaptations, as well as two notable James Bond films (Casino Royale and GoldenEye). 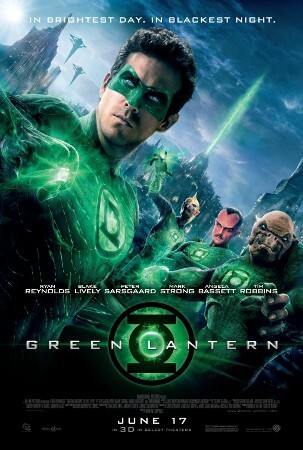 The screenplay for Green Lantern went through a number of iterations over the years, but the final writing credits were given to Michael Goldenberg (Contact), Marc Guggenheim (Percy Jackson: Sea of Monsters, Arrow), Michael Green (Heroes, Smallville), and Greg Berlanti (Arrow, The Flash, Supergirl). Interestingly, Greg Berlanti officially signed on to direct Green Lantern as well, but stepped down to instead direct This Is Where I Leave You, and left directing duties to Campbell. Green Lantern was edited by Stuart Baird, a proficient and long-tenured cutter whose credits include , Tommy, The Omen, Superman, Lethal Weapon, Die Hard 2, and Skyfall, among many others. The cinematographer for the movie was Dion Beebe, a well-regarded director of photography who is best known for movies like Collateral, Memoirs of a Geisha, Chicago, and Edge of Tomorrow. The score for Green Lantern was provided by James Newton Howard, an 8-time Academy Award nominee who has worked on films such as Nightcrawler, Michael Clayton, The Dark Knight, Lady In The Water, The Hunger Games, Falling Down, The Sixth Sense, Collateral, Waterworld, King Ralph, and Flatliners, among many others. The cast of Green Lantern is led by Ryan Reynolds and Blake Lively, who would later get married in 2012. The accessory cast is rounded out by such notables as Geoffrey Rush (The King’s Speech), Michael Clarke Duncan (Daredevil), Mark Strong (Kingsman: The Secret Service), Tim Robbins (Jacob’s Ladder), Angela Bassett (Malcolm X), and Peter Sarsgaard (Black Mass). The critical response to Green Lantern was overwhelmingly negative. It currently holds an IMDb user rating of 5.6/10, alongside Rotten Tomatoes scores of 26% from critics and 45% from audiences. Commercially, the movie was ultimately profitable, but failed to come anywhere near its expectations. In total, it raked in just under $220 million on a lofty budget of $200 million. There was a long history of trying to get a Green Lantern movie made prior to the culmination of this 2011 product. Kevin Smith was apparently approached to write a treatment in the late 1990s, and one of the film’s producers (and DC’s Chief Creative Officer) Geoff Johns was working on pitching the idea to studios as early as 2000. Given the high profile of the film, the central roles went through a significant casting process. Some other actors considered for the lead included Sam Worthington, Bradley Cooper, Chris Pine, and Jared Leto. Many fans passionately campaigned on behalf of cult favorite star Nathan Fillion, who endeared himself to Green Lantern loyalists through a number of voice acting gigs as Hal Jordan. Likewise, the role of Sinestro could have easily gone to any one of Hugo Weaving, Jackie Earle Haley, or Geoffrey Rush, the last of whom stuck with the project in a tertiary role after Mark Strong was ultimately cast. Zack Snyder was apparently approached at some point to direct the film, but decided to hold to his commitment on Watchmen instead. Of course, he would eventually become entwined with DC and Warner Brothers to create Man of Steel and Batman v Superman: Dawn of Justice. “[Green Lantern] is not Martin Campbell’s cut of the film, but the studio’s. I live in New Orleans where it was shot, I read the shooting script, all of which was painstakingly filmed with intense research, and all of that was left on the cutting room floor…character development sacrificed for CG, scenes made irrelevant by removing their setup. The movie in the theater starts with an explanation of mythos that is made redundant by the more natural, scripted questions from Hal when he gets the ring. Ten minutes of childhood Hal, Carol, and Hector that sets up Hal’s first ring construct is reduced to an awkwardly placed flashback in the middle of another scene. The training with the ring is almost completely excised except for one minor scene. Most appallingly, the ending completely deletes the fact that Kilowog, Sinestro, and Toma-Re arrive at the end and help Hal defeat Parallax. Not to mention Parallax was supposed to be a 3rd act reveal after we spend the film worried about Hammond going evil, not the main villain for the entire film. I sincerely hope we get a director’s cut or at least all the deleted scenes on the video release”. Martin Campbell is apparently in agreement with the above statements, and has publicly stated his displeasure with the studio’s editing of the film. However, there has never been an official director’s cut of the movie released. While most of the filming for Green Lantern was done in New Orleans, most of the exteriors and identifiable landmarks are taken from San Diego. The DC comics setting for the events is the fictional Coast City, which is located on the west coast of the United States. This film was originally supposed to kick-off a Justice League series of films. Some early iterations of the script even included a Clark Kent cameo, which hints at a future film. However, after the negative reaction to the movie, this idea was delayed until 2013, when Man of Steel was designated to start the DC cinematic universe. The line “I’ve seen you naked! You think I wouldn’t recognize you because you covered your cheekbones!” was an ad-lib by Blake Lively, and is one of only a few widely-remembered aspects of the film. Personally, my issues with Green Lantern are numerous, even as someone not invested in the source material. I managed to avoid it when it first hit theaters, and just saw it for the first time prior to writing this review, so a lot of my thoughts on it are still pretty fresh. The first notable issue with the movie is the character of Hal Jordan, who is written as an unlikable ego-case. If not for Reynolds having an undeniable natural charm, he would be an insufferable character to get behind. 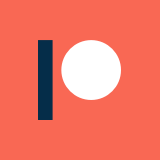 To boot, he doesn’t really improve as a result of the events of the movie, and is basically the same person at the conclusion that he is at the outset of the story. In relation to this, the human aspect of the plot is really hard to care about. Partially, this is due to a bloated cast and a general lack of chemistry between the performers. However, the way the film is written and cut doesn’t emphasize the characters themselves, instead focusing on action, which makes it hard to get invested in anyone. In spite of it all, there are some decent performances to be found in Green Lantern, primarily from Strong and Sarsgaard. However, both men receive very little screen time to develop, and don’t get the necessary room to create compelling villains. Played out well, the obsessive nature of Sarsgaard’s character might have worked out, but his infatuations and eccentricities are mostly glossed over by the film. Perhaps the most criticized aspect of the film is the extensive use of computer generated enhancements. Not only do countless alien creatures appear in fully CGI forms, but the Green Lantern suit itself has no practical elements, and all of the effects of the ring are digitally rendered. Worse than all of that, however, are the CGI modifications made to Strong and Sarsgaard, which are cartoonishly ridiculous. Despite being mostly accurate to the source material, Sinestro still looks like a pink elf-demon when depicted in live action. I think the filmmakers was just a wee bit overconfident in the abilities of CGI on the whole, and placed a burden upon it that the technology could really handle. This also contributed to the movie’s budget rising significantly, which surely irked Warner Brothers, and contributed to their less-than-generous editing treatment for the film. The plot itself for Green Lantern isn’t terribly interesting: primarily, it only serves as an origin story, and provides a brief setup for a follow up. While it is necessary to introduce the characters and concepts in some way, origin stories for superheroes are always a bit formulaic, and audiences have started to fatigue on them quite a bit. I think this, as much as anything, contributed to the movie’s critical failure: the story was just too familiar. The positives of Green Lantern are few and far between, but they aren’t totally nonexistent. However, the movie is boring above all else, and is very difficult to honestly recommend to anyone. Unless someone has a curiosity about the film or is a die hard fan of the character, there isn’t much to recommend here. It is, however, quite a compelling paragon of how not to make a modern superhero movie.